Nearly every athletics program—whether it a college or high school program—hopes to create a lasting culture of winning and success. Regardless of the size of the school or the level of competition, coaches are searching for ways to foster sustainable growth on their teams. Most coaches look to assert their own methods and philosophies when it comes to developing a team culture, but for Hope College’s Head Volleyball Coach Becky Schmidt it’s all about striking a balance with the players. And Coach Schmidt’s system is one for high school coaches to emulate. volleyball coaches. In 2014 she guided the Flying Dutch to their first national championship with a 6-0 run during the NCAA Division III Tournament. She continued to build on that success this past year with a 24-6 overall record during the regular season. The success that Schmidt has sustained at Hope is a prime case study for developing a positive team culture. Through years of experimenting with different approaches, Schmidt has kept an open mind and has found the coaching style that works best for her team. Talking to players and asking them for suggestions is the primary tool that Schmidt has used to improve Hope’s volleyball program. “I would recommend having a clear vision of what you want to see from your team but also talking to them and asking them what they want to see from their experience as well,” she says. Developing respect and trust from players is essential for any coach looking for long-term success. 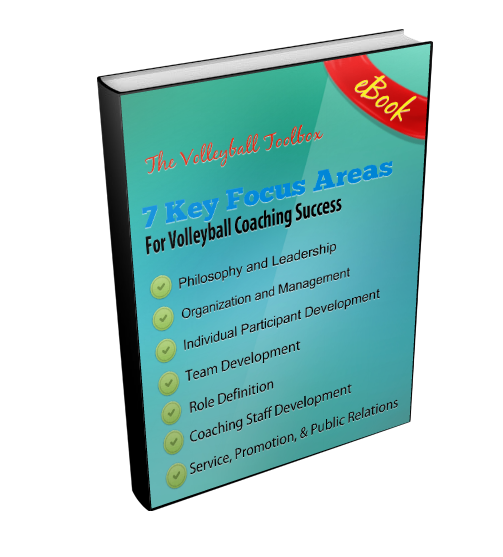 Schmidt recommends that coaches share their vision with the team while also collecting feedback from players so that everyone understands each other. It may not happen over night, but these methods will certainly help to foster the growth of a positive team culture.